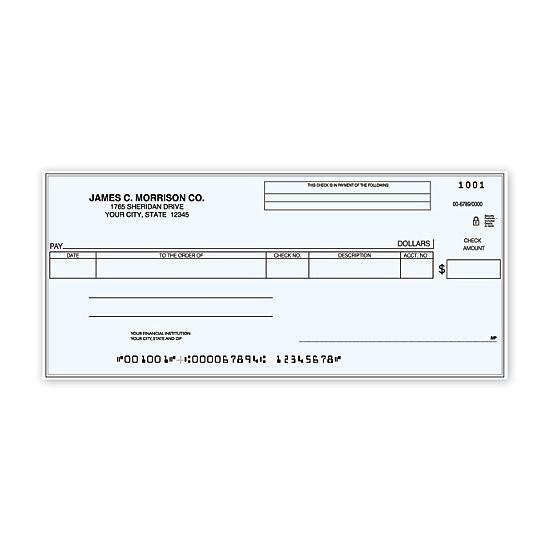 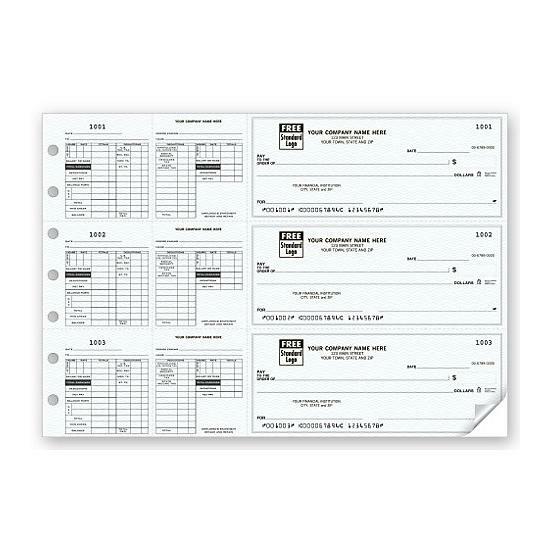 Document checks & transactions fully with end-stubs preprinted on front & back.Our compact business checks combine 3-on-a-page convenience with end-stubs for record-keeping on the go!Compact 3-on-a-page business checks go anywhere - with BIG stubs to capture transaction details! 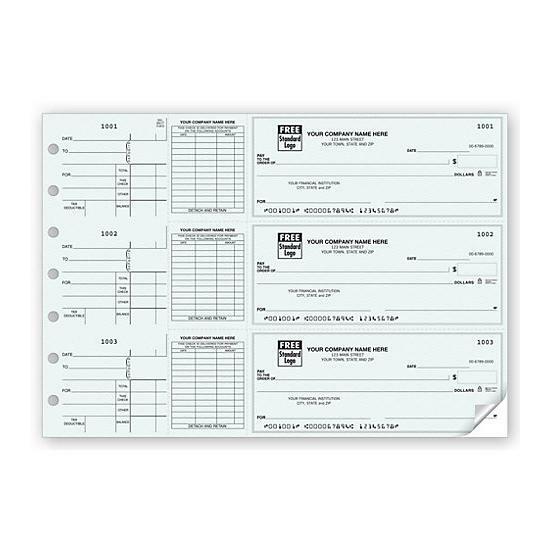 Ring-bound deskbook opens flat for easy writing. 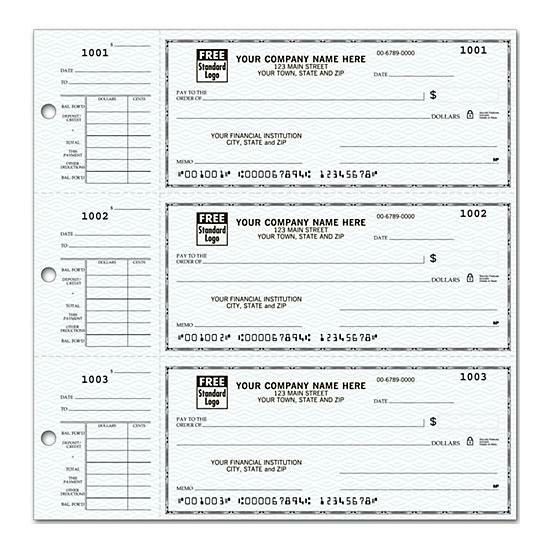 Includes check-stub file & 1-part deposit tickets.